The winner receives an honorary plaque, US$1,000, and a trip to the Global Investigative Journalism Conference to accept the award in front of hundreds of their colleagues from around the world. Deadline for the next award is May 1, 2015, for stories published or broadcast between January 1, 2013 and December 31, 2014. Online submissions are preferred. Applications should be emailed to shininglight@gijn.org. If you need to send hard copy, mail it to: Global Shining Light Awards/GIJN, Pozsonyi Way 10, 2nd floor 8 door, Budapest 1137, Hungary. But there is another clear trend that emerges in analyses of global attacks on reporters and the media. More and more journalists are being killed, and media outlets attacked, because they are carrying out important efforts in investigative journalism – exposing uncomfortable truths, shining light on systematic corruption, and providing accountability in societies yearning for democracy and development. There are as many journalists killed each year covering crime and corruption as are killed covering wars, according to the Committee to Protect Journalists. 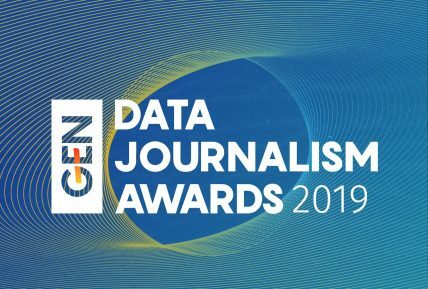 On behalf of the global investigative journalism community, GIJN is pleased to recognize and celebrate these courageous investigative journalists and their work. The winner receives an honorary plaque, US$1,000, and a trip to the Global Investigative Journalism Conference to accept the award in front of hundreds of their colleagues from around the world. The first Global Shining Light Award was presented in 2007 to Paul Christian Radu and Sorin Ozon from the Romania Centre for Investigative Journalism, Eldina Pleho and Alison Knezevic from the Centre for Investigative Reporting in Bosnia, Stanimir Vlaglenov from Bulgaria, and Altin Raxhimi from Albania for their collaborative projectPower Brokers. The project investigated an energy crisis that caused massive power outages across Romania, Bosnia, Bulgaria, and Albania. The series exposed questionable deals by shadowy businessmen operating across the Balkans that returned huge profits to power traders but resulted in exorbitant electricity rates applied to impoverished citizens. The next award, presented in 2008, honored Sonali Samarasinghe, a Sri Lanakan investigative journalist who exposed how a powerful government minister used his influence and connections to the prime minister to run roughshod over the media and the justice system. Samarasinghe was later forced to flee the country after her husband was murdered and her own life was threatened. In 2010, the award went to Vitalie Calugarearenu, Vlad Lavrov, Stefen Candea, Dumitru Lazur, and Irina Codrean, who worked together to expose how the former president of Moldova abused his power to enrich himself and his family. They obtained information on Voronin’s private properties from 1996-2009 and showed how he used his position to create monopolies for his family businesses. The fourth Global Shining Light Award, given in 2011, honored Brazilian reporters James Alberti, Katia Brembatti, Karlos Kohlbach, and Gabriel Tabatcheik from Gazeta do Povoand PRC Television for Secret Diaries. The reporters spent two years building a database to reveal how the Parana state legislative assembly systematically pilfered as much as $400 million in public funds. The 2010 series drew 30,000 people to the streets in anti-corruption protests and resulted in more than 20 criminal investigations. The 2013 award was announced and presented at the global conference in Rio de Janeiro, Brazil. 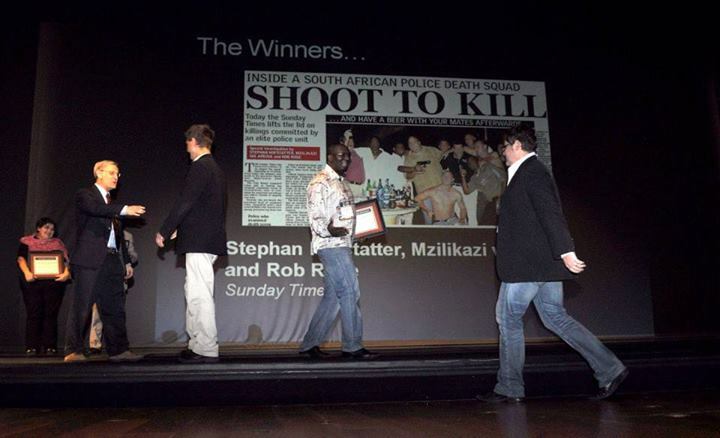 First place was awarded to two series: “Cato Manor: Inside a South African Police Death Squad,” by a team from the Sunday Times; and “Azerbaijan Corruption” by a team from Azerbaijan and the Czech Republic, on the questionable financial dealings of the Azerbaijan president’s family. In addition, the judges in their discretion decided to honor a third series with a citation of excellence: “Taxation without Representation,” from the Center for Investigative Reporting in Pakistan. The Global Shining Light Award is sponsored by the Global Investigative Journalism Network, an association of more than 100 nonprofit groups in 50 countries that work to support and spread investigative reporting. Founded in 2003, the GIJN helps organize regional and international conferences and workshops, assists in the formation and sustainability of organizations dedicated to investigative reporting and data journalism, promotes best practices and access to public documents and data, and provides resources and networking services for investigative journalists worldwide. For more information contact: shininglight (at) gijn (dot) org.